Just put it on their tab. 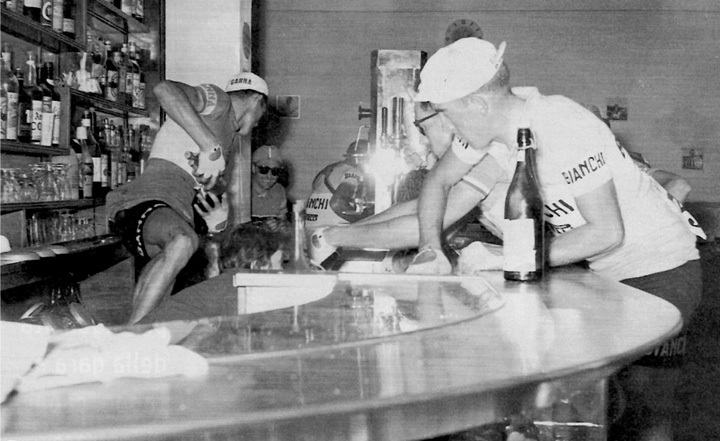 Back in the day, in the Giro d'ltalia, riders would stop (during a hot stage) at a bar and raid it of anything cold and refreshing. Good for the riders and greater still for the bar owner as he smiled and tagged the race organizers with a hefty bill. A wonderful image; looks like the bar owner reaching for cold drinks to give the riders complete with the photographer's flash.